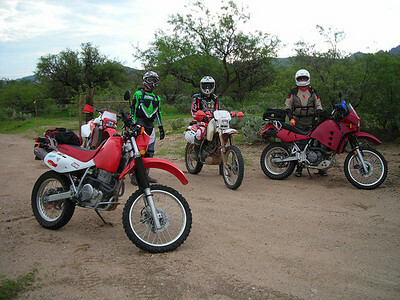 This ride was the first time the guys had seen my reborn '98 KLR. There were some puzzeled looks as I road up. I was jealous of the hot red coloring the others had and wanted to fit in better so I worked ebay to get some military take-off red plastic and a red military style gas tank. The truth is that my blue plastic was badly beat-up and fading so I had to do something.